Unicorns, griffins and oh yes, Dragons! The Singapore Zoo turns into a fantasy world full of mythical creatures from 17 November to 31 December for their "Dragons and Beasts: Where Inspiration Meets Reality" event. You will be able to find 17 fantastical beasts (in 3D form) from different cultures around the world at the "Valley of Myths", located near the Otter exhibit. 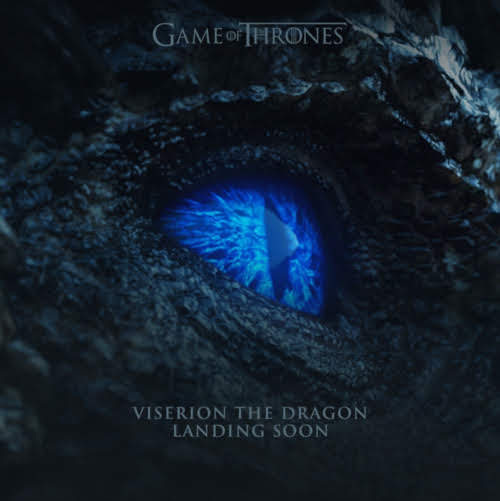 If you love dragons, you have to make your way there just to ogle at the majestic Ice Dragon Viserion from the insanely popular "Game of Thrones" TV series by HBO. Red Dot Diva knows he is going to be a beaut. Do try to avoid getting frozen to death though. You will also get a chance to meet the Night King and his White Walkers in person. However, he will only arrive in our tropical Red Dot Island on certain dates (17, 18, 24 & 25 Nov 2018) on 11 AM and 2 PM. Maybe they can bring Winter here and help cool down the hot and humid weather a notch or two? 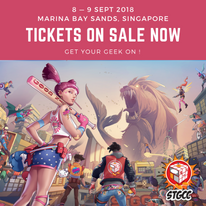 STGCC, the largest Western pop-culture event of the year in Red Dot Island, will be opening its doors just a few hours away. At the media preview which was held at Central Perk SG yesterday, ReedPop mentioned that the for its 10th Anniversary, the convention has expanded to 1 more hall, to encompass the new zones like the Good Game Experience (GGXP) and Akiba Zone, which focuses on cosplay and Japanese subculture. For years, the "games" segment which is mentioned in the STGCC brand name, has been notably absent. With the GGXP area, the organizers making their bid to get the industry back into the fold. Within the area, fans can try their hands on games developed by local and regional publishers, including titles like Pokemon Trading Card Game as well as other card, computer, mobile phone games as well as immersive VR experiences. There will also be a few hardcofe esports tournaments held live there. The show's floor plan is also heavily segmented into different types, with attendees getting hit with "retail therapy" first before they arrive at the Star Wars "Experience The Force" section, main stage and Artist Alley area. Certain parts of the show are only available to fans depending on the types of tickets they purchase. Hopefully, this will allow fans to maximize their different enjoyment at STGCC, depending on their interests. On site to meet the invited media at the preview yesterday were several STGCC featured guests. Popular comic book artist Frank Cho had many of the media folks and fellow guests gushing over how his creative works had inspired them. To have him at STGCC may be the one and only chance that some of the local and regional fans will be able to meet him in person. There were also loud cheers for 3x Eisner Award winner, Sonny Liew. Yes, Red Dot Diva fangirl-screamed as well. Pandas, dragons, unicorns and cute meowfaces! 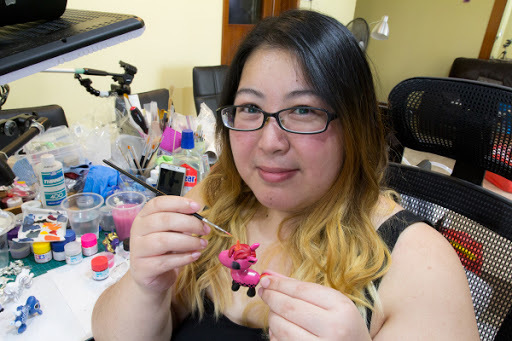 Those were the things that attracted Red Dot Diva to Jessica Emmett's art when she first met her at last year's STGCC. Since then, they have kept in touch on Facebook, and Jessica's charming and colourful visual ideas were exactly Red Dot Diva needed for the RDD blog's rebranding project. Jessica has a knack of infusing the familiar and the strange, especially when she decides to let her imagination fly with drawings of monsters and creatures from the fantasy realm. While Jessica was very busy preparing for STGCC 2017, Red Dot Diva asked her a long list of nosy questions! Red Dot Diva: Please introduce yourself, and tell us how you got into the career of illustration and graphic design. Jessica: I’m Jessica Emmett, a freelance illustrator and artist from the UK who’s now living and working in Singapore. I’ve been creating and making from as far back as I could hold a pencil. I grew up being very dyslexic, so it’s no surprise I gravitated to visuals in high school. On my art foundation I found a passion for photography and ended up doing a Photography degree and a Media Arts masters in Manchester. I was accepted onto a PhD to study how adoption is represented in art and media, given I am a transracial adoptee myself who had worked with many East Asian adoption communities. But life threw me a curveball in the form of the financial crisis which affected me and my husband as a young married couple. I had to withdraw from the program a week before my start date. Devastating, but also an amazing opportunity to re-evaluate what I really wanted to do with my life. I asked myself what I always wanted to do. As much as I loved photography, I never stopped loving to draw. I also always wanted to do an online comic. Despite my lack of formal illustration training, I created and collaborated on Adopted the Comic that ran for a few years. It continues to be an important resource for the adoption community. Even though I thought I was terrible at drawing I was shocked that people started to make requests for me to do illustration commissions. It led to illustrating an education book, Learn Thai, and on completion of the first book I was hooked! I decided to dedicate myself to illustration. Alongside my illustration, I’d also picked up sculpting again. It is only recently I’ve started to take 3D work more seriously. Red Dot Diva: That's quite a journey you've been through!